The perfect game day snack! 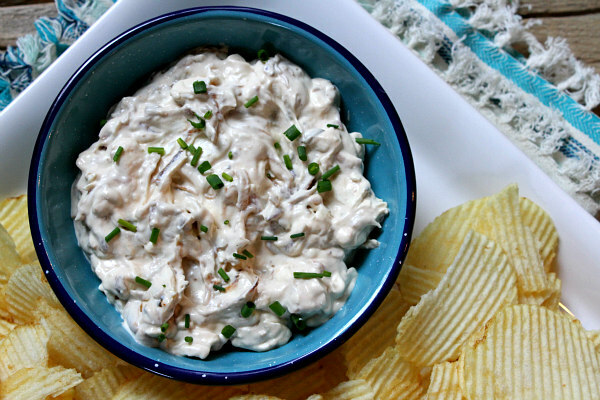 Caramelized Onion Dip makes it easy to enjoy all televised sports. I have yet to meet someone that does not enjoy chips and dip while watching a close game. 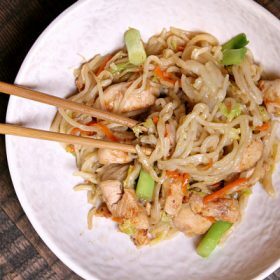 This recipe comes from a book by Meredith Steel (SteelhouseKitchen.com): Effortless Entertaining Cookbook. I met Meredith a couple of years ago when I was on a salmon fishing trip to Alaska. 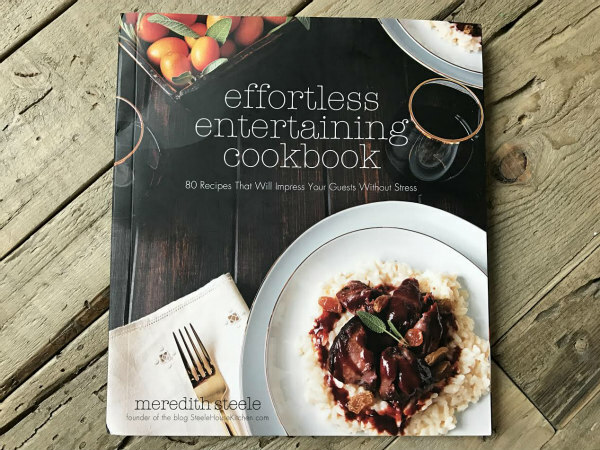 Her book is filled with all kinds of easy ideas for entertaining… like stuff a fairly decent 15 year old cook can handle making! 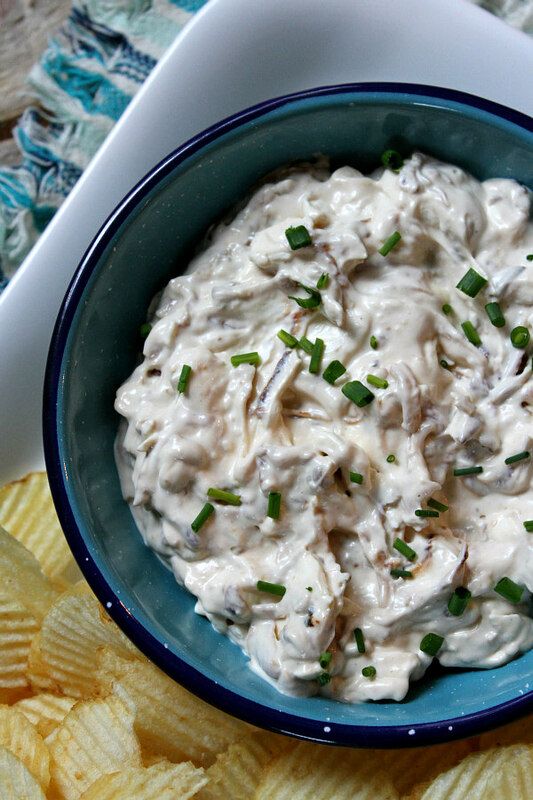 French Onion Dip has always been a staple in our house… I decided to mix things up and make a similar dip using caramelized onions (the best kind). 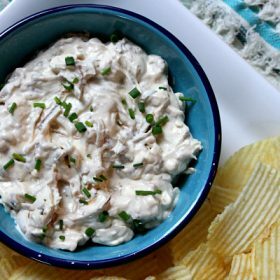 My Mom and I have wanted to make this homemade dip for as long as I can remember… It looks great and tastes even better! 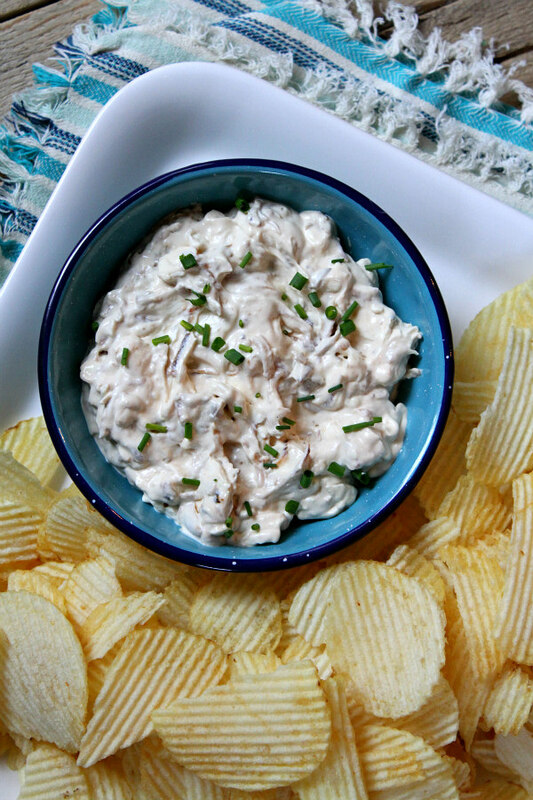 They are difficult to see, but the caramelized onions in this dip taste great!! This is coming from someone that has an extreme dislike for onions as well… I was very impressed with the Caramelized Onion Dip. It was so cool to make something that my Mom and I have talked about making for years! In a large skillet over medium heat, combine the olive oil and butter. Add the onions and sauté for 10 minutes, stirring occasionally. Reduce heat to medium-low and cook for an additional 20 minutes until onions are deep golden and caramelized. Add 2 tablespoons of water and stir, scraping the browned bits off of the bottom of the pan. Cook until the water is gone. Season with a pinch of salt and pepper and cool. With a stand mixer and a paddle attachment or a hand mixer, cream together the cream cheese, sour cream and mayo. Add the kosher salt, onions and chives and mix to combine. Taste and add additional salt and pepper, if needed. 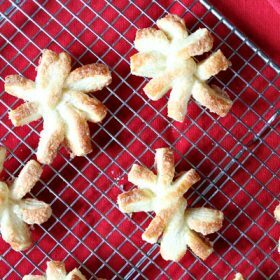 Disclosure: There is an Amazon affiliate link for purchase of the cookbook mentioned within this post.